Coil Innovation designs and manufactures air-core dry-type reactors for electric power transmission and distribution systems, industrial plants, OEMs and electrical test laboratories. The company delivers “excellence through ingenuity”, offering high-quality, patented products with winding manufacturing technology, low-noise design, 3-phase TCR arrangement, and seismic heavy coils design. Coil Innovation’s current limiting series reactors retain the impedance of power facilities during high short-circuit current load. The product range includes load flow control, load balancing and bus-tie reactors. The company supplies neutral grounding / earthing reactors that are connected between the neutral of the transmission network and ground/earth in order to limit the line-to-earth fault current. Harmonic filter reactors are used in combination with capacitors and resistors to form filter circuits that reduce the harmonic content in power systems. The company’s capacitor damping or inrush current limiting reactors are installed in the series capacitor bank, while its discharge reactors are connected to the bypass circuit. Coil Innovation’s shunt reactors are used to compensate capacitive reactive power generated by lightly loaded transmission lines or underground cables. They can be connected to the transformer tertiary winding, but also directly to the high-voltage (HV) bus or transmission line with system voltages up to 500kV. The collection also comprises converter or phase reactors (STATCOM), harmonic filters, series compensation (SC) damping reactors, and discharge reactors (in the bypass circuit). Mechanically switched devices are the most economical reactive power compensation devices. Coil Innovation stocks advanced mechanically switched capacitors with damping network (MSCDN), which are a simple low-speed solution for voltage control and network stabilisation under heavy load conditions. They consist of large shunt capacitor banks that are arranged as C-type harmonics filters and are directly connected to the HV system containing large air-core filter reactors. Coil Innovation’s high and ultra-high voltage direct current (HVDC / UHVDC) transmission schemes are used for bulk power transmission. The systems are also used for back-to-back and sea cable interconnections, as well as for the grid connection of renewable energy facilities such as offshore windfarms. These schemes include alternating current (AC) and DC harmonic filter reactors, in addition to smoothing, converter, and PLC-noise filter reactors. The company’s large smoothing reactors reduce the amount of ripple current magnitude that is present in a DC system. The reactors are suitable for HVDC systems with system voltages up to 800kV and 500MVAr-equivalent power ratings (50Hz equivalent power). They are also used in power electronics applications such as variable speed drives and uninterruptible power supply (UPS) systems. Power line carrier (PLC) technology is a traditional, economical and reliable method of power systems communication. When connected in series with the transmission line, Coil Innovation’s PLC reactors (line traps) present low impedance at power frequency and maintain high impedance at power line carrier frequencies (30kHz-500kHz). Coil Innovation’s arc-furnace reactors, sometimes named buffer reactors, connect in series with the transformer to increase the source impedance of the electric arc furnace (EAF) power supply. They then stabilise the arc during the melting process and reduce electrode consumption. Sound requirements have become increasingly stringent as substations have moved closer to residential areas and vice versa. In 2008, Coil Innovation introduced its patented low-noise air-core reactors to the market place. Since then, many of the company’s low-noise reactors have been supplied at installations around the world. Today, Coil Innovation’s advanced air-core dry-type reactor technology is employed at the highest power and voltage levels. Reactors for AC applications may reach reactive power ratings of 200MVAr/240MVAr (50Hz/60Hz) per coil unit and may be installed in AC systems with voltages up to 765kV. In DC applications, the equivalent 50Hz/60Hz AC power may even reach 250/300MVAr per coil unit in DC systems with voltages reaching 1100kV. Coil Innovation has successfully entered all major air-core reactor application segments and has supplied them to markets all around the world. Founded in July 2004 as a private limited company, the core operational team holds the majority of the company’s shares, with the remainder controlled by two strategic partners, both of which are suppliers to Coil Innovation. 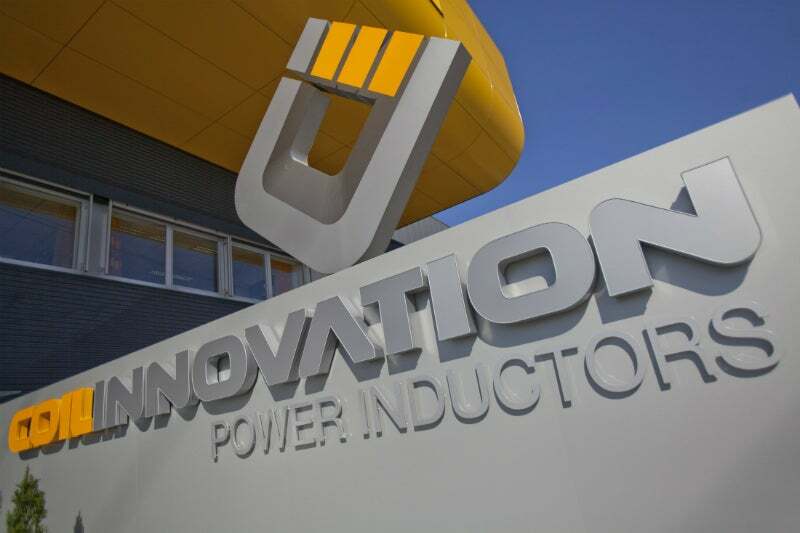 In May 2005, production started on new modern production facilities in Eferding, Upper Austria, to manufacture power inductors. In November 2013, Coil Innovation opened its US headquarters in Raleigh, North Carolina, in order to work directly with US customers. Following a number of upgrades, the facilities now contain approximately 5,000m² (54,000ft²) of production area and 1,000m² (11,000ft²) of office space. Today, Coil Innovation employs around 105 people. Coil Innovation specialises in the development, manufacture and sales of air-core, dry-type reactors for electric power transmission and distribution systems, as well as for electrical power plants.